‘Forest Giants’ we sometimes call them, or just ‘big, old trees’, but neither of these descriptions capture the importance of the oldest and largest trees in our forests. Here’s a fascinating look at how fungi help to interconnect a whole forest. It may be a North American story, but the plant-fungus relationship exists in all forests across the planet. And if you’re interested in the bigger picture of the importance of fungi to ecosystem, indeed planet health, here’s a brilliant, awe-inspiring TED talk on How mushrooms can save the world. The eastern parts of the Strathbogie Forest contain 14 known, rare and threatened plants. This information is drawn from the State’s official records held in the Victorian Biodiversity Atlas. One of our groups’ supporters, botanist Sue Ablitt, searched the VBA records and has prepared this detailed list. These rare plants are illustrated below. Source of information: DEPI Biodiversity Interactive Mapping Compiled May 2014 for Strathbogie Sustainable Forests Alliance. View the study area map. These 14 species (13 illustrated here) are probably not the only threatened plant species within the search area, as there has been relatively little botanical surveying carried out in this part of the Strathbogie Ranges. Nonetheless, their presence is a strong argument for these forests to be careful managed and for at least some areas to be afforded permanent protection. Murphy Fresh greenhouse tomatoes – burning 7,500+ T/yr of timber bio-fuel – the full glasshouse operation. Early last month (June 2014) two of our members traveled to the Murphy Fresh greenhouse tomato operation in Bridge Creek (just north of Mansfield), to see it first hand and talk to the owners about our concerns. Sim and John have summarized their discussion with Murphy Fresh below. Initially, Murphy’s burnt briquettes to heat their greenhouses. Then about three years ago, they looked at moving from fossil fuels to something more renewable. They were approached by a VicForests contractor who could supply them with ‘waste’ from the VicForests managed Tolmie logging – and this is when our group became involved in this issue. The logs they received had to be chipped onsite at Murphy’s which was both problematic and expensive. So, Murphy Fresh say they have been looking for other options. Currently, Murphy Fresh have stopped taking any logs directly from VicForests or from local VicForests contractors. Murphy’s have secured a 5-year deal to take ‘sawmill residue’, from a mill in Gippsland, until 2018. The mill residue now being used is better quality as fuel and cheaper than the supply from VicForests. Murphy Fresh say there is 5-15 years worth of mill residue with this supplier, but they would not commit to never going back to VicForests in future. They did guarantee that no more fuel would be sourced from VicForests or its contractors during the next 5 years. All-up this is good news for our local forests, although we do wonder what ‘sawmill residue’ actually is. As Murphy Fresh want to improve their sustainability credentials, hopefully the sawmill residue is 100% actual residue from the mill – perhaps worth looking into. Planting fuel stock on site (they have ~100 ha of land, of which 5 ha is under greenhouse). This of course would be much preferable to bringing bio-fuel from the other side of the mountains. 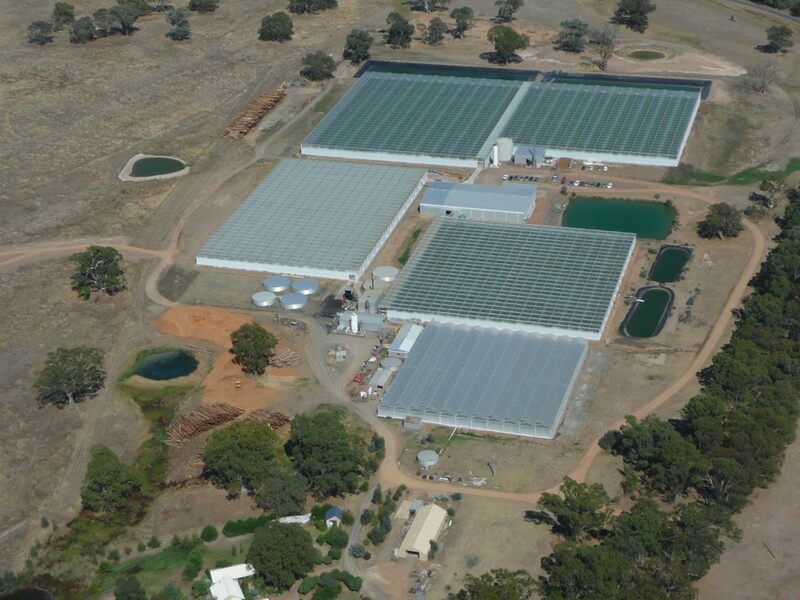 Sourcing bio-fuel from Farm Forestry North-east (Vic.) or from a local sawmill. Murphy Fresh use about 7500+ tonnes of fuel annually. Thanks to Russell and Jon Murphy for inviting representatives from our group to see and discuss how their business is run. We’re looking forward to seeing Murphy’s continue to improve the sustainability of their business and local Tolmie forests no longer being cut for bio-fuel and low-grade timber products. We’ll keep you posted on any updates to this story. 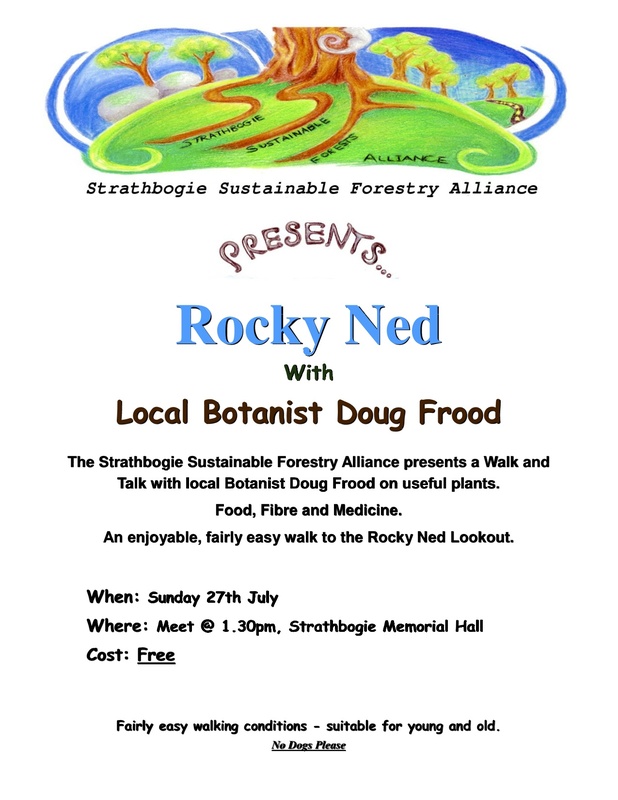 Rocky Ned forest walk – July 27, 2014.